Unbound by John Shors for review from the author. With Unbound, Shors recreates an ancient and celebrated Chinese legend about a pair of young lovers separated by war and the Great Wall. The year is 1548, and the Chinese Empire faces an imminent Mongol invasion. All that prevents the violent end of a dynasty is the Great Wall. Yet even this famed fortification has weaknesses, and against his will, a talented Chinese craftsman is taken from his home and wife, so that he may labor alongside the wall’s defenders. Fan has been missing for a year when his wife, Meng, decides to do the impossible—to leave everyone and everything she knows in a daunting effort to find him. At a time when many women fear even stepping outside their homes, Meng disguises herself as a man and begins a perilous journey of deliverance. As two armies gather at the Great Wall, the fates of Fan and Meng collide with a Mongol horseman seeking redemption, a Chinese concubine fighting injustice, and a ruthless general determined to destroy them all. Hello everyone! The holidays are nearly here, but I have a treat for you! If you haven’t liked the Savvy Verse & Wit Facebook page yet, go do it now. Beginning Dec. 12 (sometime this afternoon the first pick will be revealed), I’ll reveal one of the books on my Best of 2014 book list, through Dec. 24. That’s one book from the list per day, with a tidbit about why I loved the book and a link to where you can buy it. Today, I wanted to talk about those authors we love so much that we buy their books automatically no matter what the subject. I used to have just a few of those authors, but my list is now growing! I thought today would be a good day to share not only the older ones on the list, but also the newer ones that have joined the ranks. I find it interesting that there are many more female authors being added to my auto-buy list. I’m not really sure why so many great female authors are being added to my auto-buy list these days. It isn’t that I haven’t read some great male authors, but perhaps I need to read more of them to get a true sense of their work and whether I want to buy it automatically no matter the subject. Do you have auto-buy authors? Who are they? What attracts you to their work? Don’t forget to like the Savvy Verse & Wit Facebook page to find out over the next 12 days which books made the 2014 Best list. Mailbox Mondays (click the icon to check out the new blog) has gone on tour since Marcia at A Girl and Her Books, formerly The Printed Page passed the torch. This month’s host is Lori’s Reading Corner. 1. The End of the Point by Elizabeth Graver for review from Harper. A place out of time, Ashaunt Point—a tiny finger of land jutting into Buzzards Bay, Massachusetts—has provided sanctuary and anchored life for generations of the Porter family, who summer along its remote, rocky shore. But in 1942, the U.S. Army arrives on the Point, bringing havoc and change. That summer, the two older Porter girls—teenagers Helen and Dossie—run wild. The children’s Scottish nurse, Bea, falls in love. And youngest daughter Janie is entangled in an incident that cuts the season short and haunts the family for years to come. 2. 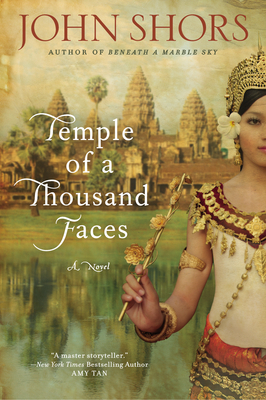 Temple of a Thousand Faces by John Shors for review from the author. Thanks, John, for mentioning me in the Acknowledgments. When his land is taken by force, Prince Jayavar of the Khmer people narrowly escapes death at the hands of the conquering Cham king, Indravarman. Exiled from their homeland, he and his mystical wife Ajadevi set up a secret camp in the jungle with the intention of amassing an army bold enough to reclaim their kingdom and free their people. Meanwhile, Indravarman rules with an iron fist, pitting even his most trusted men against each other and quashing any hint of rebellion. 1. The Healer of Fox Hollow by Joann Rose Leonard for a July TLC tour. 2. The Song Remains the Same by Allison Winn Scotch, which I won from Peeking Between the Pages. 3. The Sound and the Fury by William Faulkner, which I got from the library sale for 50 cents. 4. Agnes Grey by Anne Bronte, which I got from the library sale for 50 cents. 5. Beneath a Marble Sky by John Shors, which I got from the library sale for 50 cents. 6. Travels With Charley in Search of America by John Steinbeck, which I got from the library sale for 50 cents. 7. Ines of my Soul by Isabelle Allende, which I got for $1 from the library sale. 8. The Sesame Street Library Volume 7, which I got for Wiggles for 50 cents. 9. The Sesame Street Library Volume 9, which I got for Wiggles for 50 cents. 10. The Sesame Street Library Volume 14, which I got for Wiggles for 50 cents. 11. I Can Count to Ten and Back Again, which I got for Wiggles for 50 cents. Cross Currents by John Shors is set in the paradise of Ko Phi Phi in Thailand in 2004 as the lives of two families — struggling resort owners Lek and Sarai and brothers Patch and Ryan — cross paths. In paradise anything seems possible, especially for Patch who is running from the Thai police after a stupid mistake, but even more so for Lek and Sarai’s children with so much ahead of them. From the moment readers enter Shors’ world, readers are engrossed in the sand, the sun, the stars, and the humidity of the jungles and the resort shops that wait for tourists to arrive. Lek and Sarai’s plight will draw empathy from readers, but what is more stunning is the strength they show on a daily basis. It is enough to see Sarai cook, clean, massage, and devise new ways to earn income for her family, while her husband is dreaming and keeping their spirits lively. Shors attention to detail draws a larger comparison between the characters he creates and the environment within which they live. Patch has been helping out the Thai family, building a path, repairing bungalows, and more — almost as though he is doing penance. In the midst of this work, Patch becomes like part of the family and he begins to feel at home, but that sense of contentment is uprooted once his brother Ryan comes to rescue him. Cross Currents by John Shors is a devastatingly beautiful novel. The ground beneath these characters continues to shift, placing them in harm’s way and bringing them closer. Shors is a master at breathing life into different cultures and bringing different people together to demonstrate the power of love. It is a novel about family, friends, and much more. These characters are stronger for their struggles and for having known one another, and readers will not forget them. A perfect candidate to nominate for the Indie Lit Awards literary fiction category. Interested in other books by John Shors, check out my review of Dragon House and my interview with the author. As with his other books, Shors will be making a donation from the sale proceeds of Cross Currents to the International Red Cross. First I want to wish my husband a happy birthday. I’m sure he’s starting to feel his age, but I keep telling him that age is just a number and he doesn’t look a day over 25. I hope that you have a great birthday, honey, and keep smiling now that our daughter is here. She adores her daddy, and I know you adore her. Have a great day off from work spending time with her. I wish that I could do the same. Mailbox Mondays (click the icon at the right to check out the new blog) has gone on tour since Marcia at A Girl and Her Books, formerly The Printed Page passed the torch. This month our host is The Bluestocking Guide. Kristi of The Story Siren continues to sponsor her In My Mailbox meme. Both of these memes allow bloggers to share what books they receive in the mail or through other means over the past week. 1. Cross Currents by John Shors for review from the author. 2. The Secret Lives of the Four Wivess by Lola Shoneyin for a TLC Book Tour in July. 3. The Things We Cherished by Pam Jenoff from the author for review, an unexpected delight! What did you receive in your mailbox? I know we’ve all be busy with the holidays and reading our new books. I’ve been busily interview poets and authors on D.C. Literature Examiner again. You knew I couldn’t resist. Please check out my latest interview with Poet and Musician John Amen! We talk about his writing habits, his thoughts on how music and poetry are similar, and what poets he recommends. Check out the interview here and here. One of his books, More of Me Disappears , made my 2009 top poetry books list. I’ve also had the pleasure of talking about John Shors’, author of Dragon House , charity efforts in providing books to street children in Vietnam. If you’d like to see how well his project has gone or how his book sales are connected to the charity, please go here. 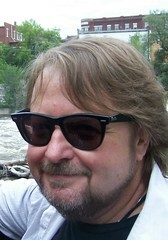 Finally, I had the pleasure of interviewing Into the Beautiful North author Luis Alberto Urrea. We discuss how movies influenced him, particularly with this novel, his writing, his playlists, and more. Don’t forget his recommended reading. Check out the interview here and here. Urrea’s book made my best of audiobooks for 2009! I hope you’ll be checking these interviews out in your down time. Iris is just one of the main characters in John Shors’ Dragon House and she’s had a tough childhood with a mostly absent Vietnam veteran father. Noah, her childhood friend and also a veteran but of the Iraq War, accompanies her to Vietnam as Iris strives to fulfill her father’s dream. Through a shifting narrative, readers are shown glimpses of what it means to live on the streets of Vietnam as orphan children with Mia and Minh or as a grandmother Qui raising her leukemia-ridden granddaughter Tam by selling books to American tourists. Dragon House examines how these cultures are misunderstood on both sides and how they clash with one another even in times of peace. Shors deftly mixes sadness with hope to reveal the beauty beneath the grime and compassion inherent in humanity. Readers will be blown away by the vivid descriptions of Vietnam and the evolution of the novel’s main characters as they find themselves in a foreign land and repurpose their lives to meet the needs of others and fulfill a dream. Shors uses description in a way that conveys deep emotional scarring and how that damage is repaired over time. Mia and Minh, who sell fans and gamble with tourists over games of Connect Four, display strength amidst adversity, but like Noah, even the strongest of us have our breaking points. Qui and Tam also display significant strength. In a way these characters offset the deep desolation felt by Noah because they continue to survive and hope, while Noah is steeped in blackness and hopelessness, finding solace in whiskey and pain pills. There is more going on in Dragon House than meets the eye with Iris and Noah preparing a children’s center for opening and these children living on the streets. Readers will be absorbed in Shors’ world and turn the pages hoping for the best resolution possible. 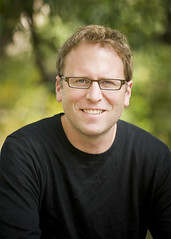 If you missed my interview with John Shors and the giveaway for Dragon House, please check it out. John Shors’ novel would make an excellent gift for the holidays for the readers among your family and friends, and a portion of the proceeds from book sales are shared with the Blue Dragon Children’s Foundation (click for more details). Also, check out this write up in the Denver Post about the charity. FTC Disclosure: I want to thank John Shors for providing me with a free copy of Dragon House for review. Also, thanks to Diane Saarinen of Book Blog Tour Guide for setting up the blog tour. Clicking on images or titles will bring you to my Amazon Affiliate page; No purchase required. 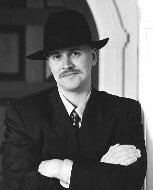 Welcome to the first part of John Shors’ blog tour. Stay tuned for my review of his latest book, Dragon House, on Dec. 15. John Shors kindly took time out of his busy schedule to answer a few questions, and there’s a giveaway copy for my wonderful readers (US/Canada). Please give the author a warm welcome. Could you explain how it felt and challenging it was to switch from your previous work with historical fiction to a contemporary fiction novel, like Dragon House? Actually, I think that writing historical fiction is more difficult than to bring life to contemporary fiction. For instance, I spent month after month doing research for my first novel, Beneath a Marble Sky, which is based on the story behind the creation of the Taj Mahal. With my recent novel, Dragon House, which is set in modern-day Vietnam, all I did was fly to Vietnam and spend several weeks getting a good feel for the country (which I had visited earlier as well). So, by switching to contemporary fiction, I removed a whole layer of work from the process of creating a novel. It is noted on your Web site that a portion of the book sales will go to the Blue Dragon Children’s Foundation. What inspired you to make this donation and have you seen the effect of this charity on children in Vietnam? 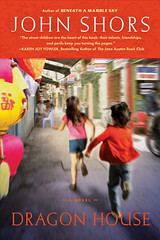 Dragon House is the story of two Americans who travel to Vietnam to help street children. I’ve had hundreds of experiences with street children, and found such children to be remarkably resilient, hopeful, and bright. I wanted Dragon House to not only benefit me and my family, but these children as well. Partnering with Blue Dragon Children’s Foundation was an easy decision. I’m donating some of the proceeds from Dragon House to this group, which supports street children in Vietnam. I’ve had quite a few readers finish Dragon House, and then email me, asking how they might help support children in need. To date, we’ve raised enough money to buy complete sets of school books for about 500 street children. The protagonists in the story open a center to help street children, did this foundation serve as a starting point for your novel? No, I had the idea to do Dragon House long before I encountered any such foundation. It just seemed obvious to me that there was a tremendous need for such foundations. Street children are very prominent in Vietnam, and other parts of Asia. They need support. I wanted to bring the remarkable stories of these children to life, and then to find a foundation to partner with. If you were to pick 5 songs as an accompanying playlist to Dragon House, what songs would you choose and why? That’s a tough question for me, as Dragon House occurs in Vietnam, and any music that wasn’t Vietnamese would strike me as being out-of-place. Oftentimes in the book, the characters are listening to Vietnamese pop music, so such songs would be a good fit. Beside a Burning Sea, Beneath a Marble Sky, and Dragon House have distinct Asian elements. What about the Asian culture drew you in and how well do you believe you’ve captured it in your books? I’ve been lucky enough to live in Asia for about four years, so I know the region well. I’m a big fan of the culture, people, natural beauty, food, climate, history, and affordability of that part of the world. I continue to go back, year after year. As far as the believability of my Asian settings, I think that one of my skills as a writer is the ability to really bring a setting to life on the page. I take that part of writing very seriously, which is why I only write about places that I have spent a lot of time in. I want the reader to feel like they have visited India or Vietnam after finishing one of my novels. Do you have any particular writing habits, like listening to music while writing or having a precise page count to reach by the end of each day or week? Sometimes, while I’m working on the rough draft, I do listen to music. It has the ability to inspire me, if I seem to be spinning my wheels. U2 is a personal favorite. I also give myself very concrete goals. For instance, I’ll write five pages every day until my rough draft is done. Or I’ll edit eighty pages a day if I’m on my twelfth draft. Which books have you been reading lately, and are there any you would like to recommend? I recently finished Skeletons at the Feast, which is a very unique and memorable book, and is written by a friend of mine, Chris Bohjalian. To be honest, though, I don’t read that much when I’m on deadline. I don’t like to be influenced by the voices of other writers, as I think I have my own style, and I really like to focus on it, to have it resonating in my head 24/7. Please share some tidbits about your latest writing projects. I’m working on my fourth novel, The Wishing Trees, which will come out next September. The Wishing Trees is a story about a father, a mother, and a ten-year-old daughter who are planning a trip around the world. A few months prior to their trip, the mother gets sick and dies. A year later, the father and daughter embark upon the trip, which takes them on an emotional, spiritual, and a physical journey. I’m really excited about this novel, which is quite poignant, I think, and is due to Penguin in February. Then it’s on to book number five! I also continue to speak with several book clubs (via speakerphone) a day about my novels. And I’m helping to transform my first novel, Beneath a Marble Sky, into a major motion picture. 1. Leave a comment on this interview about what you learned. 2. Get a second entry for commenting on the 12/15 review of Dragon House. FTC Disclosure: I want to thank John Shors for providing me with a free copy of Dragon House for review. Clicking on images or titles will bring you to my Amazon Affiliate page; No purchase required.